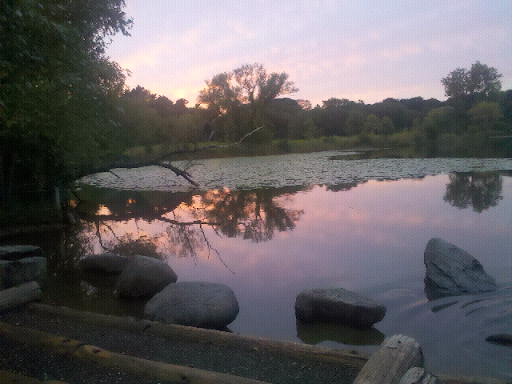 I do enjoy this (albeit cliched) sunset from the dog pond at Fresh Pond last night, but this post is mostly an experiment to see how well blogging from my phone works. Comments welcome! I think your blogging works, and the picture is absolutely beautiful!